Viadeo CEO Dan Serfaty on how G8 leaders must focus on the factors that facilitate entrepreneurship. This week I will join France’s President Nicolas Sarkozy and world technology leaders to discuss how to harness the Internet and technology to fuel economic growth. As the leader of a professional social network with 35 million members, (including 3.5 million entrepreneurs), I’m encouraged to see the emergence of a global discussion. The potential for the Internet and technology to build global prosperity is tremendous, and we are at a point where global coordination is critical. The message I will bring to G8 leaders is to focus on the factors that facilitate entrepreneurship. We’ve recently witnessed how technology can bring opportunity to the developing world. We saw it in the protests in Tahrir Square and on the streets of Tunis, whose seeds were planted through Facebook and spread on Twitter. It’s in the form of mobile phones and wireless technologies that bring low-cost communications to places where broadband is scarce. The International Telecommunication Union, the UN agency on IT and communications, estimated that by the end 2010, mobile cellular penetration would be 68% and there would be 6.1 trillion text messages sent annually. I’ve been surprised myself to see the reliance on text messages over email in emerging markets. In India, for example, nearly all professional communication is done via text because it’s simply more affordable than email. One of the greatest contributions of the Internet has been the opportunities it provides to entrepreneurs–never before have entrepreneurs needed less to do more. Great companies like Google, Facebook, Skype, Spotify and Alibaba were started by just a few individuals and became great economic engines in themselves. And professional Social Networks such as Viadeo and LinkedIn provide a new channel for startups to discover capital, suppliers, business partners and customers. 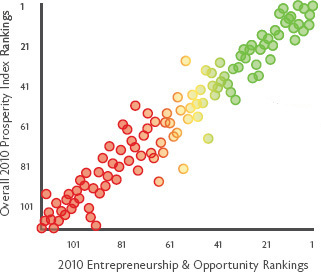 According to the 2010 Legatum Prosperity Index, “entrepreneurship and opportunity correlate more closely to a nation’s overall prosperity than any other factor.” Viadeo’s roots are deep within the entrepreneurship community–it was born out of an entrepreneurship club in Paris and later joined forces with leading networks in China, India and Brazil. And I’ve spent the last year living in Silicon Valley, the global hub of technology entrepreneurs. Entrepreneurs around the world share a common DNA: they have tremendous ambition, seize opportunities, and want to build something that makes an impact. We’re often startled when successful entrepreneurs are under 30, but I believe it’s because they still see what is possible in the world around them. In emerging countries–many of which have median populations under 30–there are millions of people who see the potential to create new tools and services. It’s critical that their creations are protected from simple imitation. It’s these experiences that convince me that we should foster entrepreneurship to promote global prosperity, by establishing global standards on privacy and intellectual property. Protecting Privacy: With commerce and connections increasingly taking place online, more personal and company data is available than ever before–as a force for good or harm. While cultural norms on privacy vary dramatically from country-to-country, it is possible to create uniform standards for informing users of what data is collected and how it will be used. One set of rules that a company can rely on simplifies international business. Preserving Intellectual Property: It’s never been easier to start an Internet company, and unfortunately it’s equally simple to copy computer programs that took thousands of dollars and man hours to create. Great innovations require protection, and world leaders need to strengthen the laws and enforcement mechanisms for protecting intellectual property. In his acceptance speech in the 1960 United States presidential election to the Democratic National Convention, John F. Kennedy said, “[W]e stand today on the edge of a New Frontier…” One-half century later, we stand on the edge of a very different frontier–but one that is similarly wrought with both promise and peril. We are assembled in Paris this week to discuss and determine how we will best use our knowledge, technology, and other resources to better the world around us. While big businesses and corporations often receive all the government and media attention, it is small businesses and individual entrepreneurs that add the greatest value and diversity to our global economy. 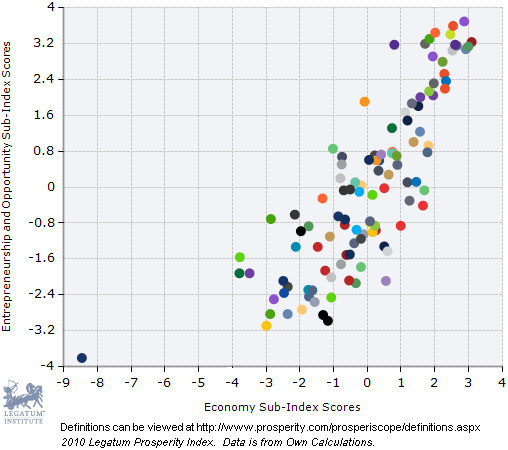 These smaller entities drive growth in the economy and are the foundation for long-term success. We have a responsibility to foster this growth and encourage this success–and I am excited and privileged to be a part of the journey and hopefully, the solution, on the road to a more prosperous, more connected global economy. Dan Serfaty is co-founder and CEO of Viadeo Group, the number one social networking platform for professionals in Europe, China, and South America with more than 35 million members worldwide on its Viadeo, Tianji, and ApnaCircle networks. A serial entrepreneur, Viadeo is Serfaty’s third successful venture. Serfaty earned an MBA from HEC (Ecole des Hautes Etudes Commerciales). He was born in Strasbourg, France, and lives with his wife and three children in San Francisco.